of surf locations in and around the Newquay area. Join us at our base in Newquay or choose from a variety of surf locations in and around the Newquay area. 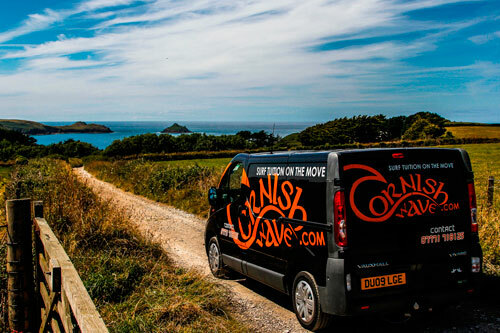 Our Mobile operation allows us to offer bespoke multi-day and multi-location surfari packages. Using years of experience of exploring the dynamic coastline in and around Newquay we have put together the ultimate surf lesson package. 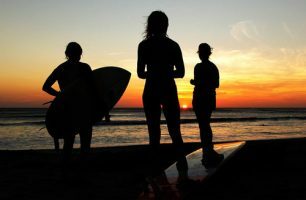 Join us for three progressive surf lessons at three stunning beaches for a real taste of the Cornish surfing lifestyle. Find out more about our Surfari Surf Lesson Package. Aimed at intermediate surfers and beginners looking to take their skills to the next level, the Progressor Surf Package is a progressive, multi-session surf adventure. We focus on your personal surfing goals and find the best surf spots for each session. Enjoy the benefit of one-to-one coaching from one of our experienced local surf instructors. Learn more about the Progressor Surf Package.